Hello, Gorgeous! : Ann Blanche Spring Giveaway! Today marks the first official day of Spring. Today is actually twice as special for me because this long-awaited first day of Spring is also the Persian New Year! During our new year we visit with loved ones, eat way too much food, and exchange gifts. So, to celebrate this tradition of gift-giving (and since I can't feed delicious Persian food to all of you), I figured-- why not host another giveaway with the one and only Ann Blanche?! One lucky gal will win a beautiful pair of Ann Blanche flats AND a gorgeous summer scarf. Just use the Rafflecopter app below to enter. The small print: Giveaway ends on Friday, March 27th, and is open to U.S. and Canada residents only. Winner will be announced on the Hello Gorgeous Facebook page and must claim prize within 48 hours. If prize is left unclaimed within this time, a new winner will be chosen. i love the pale pink flats to wear with dresses at work! I love cheetah print ones! I would pick the cheetah print flats with brown toe, and the here i glam summer scarf if I were lucky enough to win this awesome giveaway. I would wear the flats with my black skinnies and black and white flannel with a military jacket. The scarf would go well with my white summer dress, or even with a polka dot blouse, skirt, and cardigan. Thanks for the giveaway! I like the Antonella flats and the Splash of Color Floral Summer Scarf. I love the Sonnet flats! Thank you for the giveaway. I love learning about new and amazing products!! I would be happy to have any of those shoes- such pretty colors! Happy Spring to us all. Love the leopard and pink cap flats. So sassy! 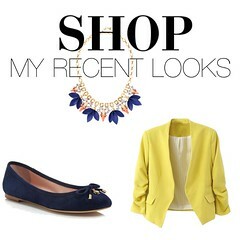 I love the Catarina shoe and the splash of color scarf! Love the colors...now it just needs to warm up! Love bright shoes! This would help me get out of my sneaker rut! I'd choose the pale pink flats and the beautiful blossoms scarf! I would wear them with a white tee and a pair of jeans. I love the CATARINA flats and the COMPLEMENT OF COLORS SUMMER SCARF, I would style them with skinny jeans and a simple white tee. No question: All eyes on me scarf, angelica flats or sonnet flats. True love. so many options! would love to have the Moriah flats and Splash of Color Floral scarf! I love your blog. Please don't stop posting! I think I would get the Antonella or Moriah flats, pair them with denim crops, the botanical summer scarf, and a basic v-neck tee. Thanks for the opportunity to win!! I love the leopard and pink flats. I think they would look great with all black. the pink flats with coral toebox are my pick. I think they would be great with a light gray dolman sleeve tee, a pair of skinny jeans and a lovely summer scarf. Love the hot pink/leopard combo! Currently obsessing over the royal blue and white flats!! I like the Fiorella flats. I have the perfect blue top with embroidered cutouts that would be perfect with them. And the cream colored Blossoms of Flowers scarf would match the outfit and go with so much more! Totally loving lace scarves this Spring. I would get the Angelica flats and the All Eyes On Me scarf, and pair them with some great white jeans! I would choose the Fiorella Flats and the A Moment to Share Summer Scarf. I love the sonnet flats and the BLOSSOM OF FLOWERS BLACK SUMMER SCARVES. I would wear them with skinny jeans. I'd style the Antonella flats with the botanical summer scarf, white capris, and a simple shirt! I love the Alessa flats and the Blossums of Flowers scarf. There are so many ways to style them from a pencil skirt, white jeans, skinny jeans or with a denim shirt. I love the Angelica flats and the Beautiful Blossoms scarf. Sonnet with blossoms of flowers, cream. I love the Mirella flats and the Fancy & Free summer scarf - I'd pair them with just about anything! i'm obsessed with leopard, so i'd love to win the leopard & pink flats. & the all eyes on me scarf is calling my name! they'd look great together over a pair of leggings. good luck, all! I'd pick the Sonnet flats and a Blossoms of Flowers scarf. I would ideally pair them with white skinny jeans. I love these! I'd love the Catarina flat and Blossom of Flowers lavender scarf! I love the Annabel flats (leopard with red toe) and the beautiful blossoms summer scarf. Great giveaway! Fingers crossed!! I really love the black and white Sonnet flats. I would love to wear them with a black pleated skirt and white button up for work. I love the Clarissa flats and the BLOSSOM OF FLOWERS BROWN SUMMER scarf. I'd style it with a white shirt and jeans. I would go with the Sonnet flats and the Hold Me Up scarf to spice up my boring maternity wardrobe. Since I'll only wear these clothes for a few months, I chose to invest in basics and use accessories to bring the character. I would pick the Sonnet flats and style them with a nice wide leg jean, plain fitted shirt and the lovely scarf. Love the leopard and red! They would look great with so many different outfits. Thanks for the chance to win! I would love the blue and green flats! Have looked all over for this combination for my class reunion in Sept. The outfit is complete with the exception of these shoes. I hope my number is drawn. Thank you for the giveaway. I've been telling my husband and teens that I'd like to change my style some. Especially when looking through my clothes and finding nothing tasteful to wear to Sunday morning church services. I live in jeans and tshirts. It is time for a change! I'll need to wear nicer clothing when I graduate from college. Anyway, I really enjoyed browsing the website and bookmarked it! I'd choose the SONNET flats, and the BLOSSOM OF FLOWERS LAVENDER SUMMER scarf. Love this giveaway! I was unfamiliar with this designer; now she's on my radar. Thanks! I love the pale pink flats with the hot pink toe (Moriah). Might pair them with one of the blossom scarves or pick the botanical summer scarf. so hard to choose! I would love to win the catarina flats. They would go perfect with my mini skirt. And the botanical scarf would go perfect with a simple tee. I would choose the SONNET flats and the BOTANICAL SUMMER scarf. Awesome giveaway! I am loving the Fancy & Free summer scarf, it's so bright and fun! I'd pair that with the Debora flats and dark skinny jeans (simple blouse). Pops 'o color all around! Can I pick them all? I like the hot pink and white and I love the scarf that is feature in this blog giveaway! AnnBlanche Sonnet & BLOSSOM OF FLOWERS BLACK SUMMER SCARVES. I would wear them out and about. I would get the Blossoms of Flower white summer scarf and the Angelica flats. I love the Blossom of Flower white summer scarf and the AnnBlanche Sonnet flats from AnnBlanche. I would choose the sonnet flats and the TROPICAL TAFFY SUMMER SCARF! My wife would get the Angelica Flats and the All Eyes On Me Summer Scarf and pair them with a sun dress. I would choose the All The World's A Garden Summer scarf and the Sonnet flats and wear them with a dress. I would love the beautiful blossoms scarf and the red and silver flats! Oh so cute!! Love your outfits! I've pinned a TON of them.